I’ve always said that music can be an important part of your online dating profile and our friends at Match agree. I’ve encouraged singles to include their favorite bands, use song lyrics for screen names, or list the upcoming concerts they’re scheduled to attend. Many dating apps give you the ability to link your spotify account to your profile to see if you have similar musical taste, which is a great ice breaker. 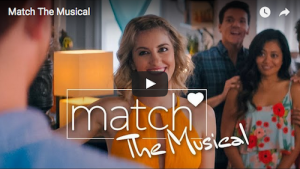 Taking it a step further, Match created this fun musical video about a couple who met online and are excited about their new found relationship. The two are in serious crush mode and it will make you smile. You just might find yourself humming along and clicking the replay button and logging on more often to find that same type of connection. 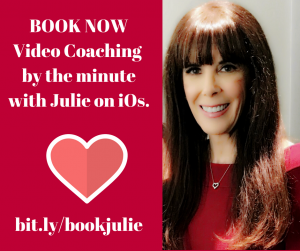 Julie Spira is America’s Top Online Dating Expert and an award-winning dating coach. As an early adopter of Internet dating, she’s been coaching singles on finding love online for almost 25 years. One of my favorite parts of OkCupid had been the fabulous data curated into blog posts by co-founder Christian Rudder on OkTrends. For the past three years, OkTrends has gone into silence mode. Today, Rudder revealed data from their Internet dating user base showing that looks aren’t always what counts when it comes to communicating in an online dating site. Rudder announced, “We Experiment On Human Beings” as the title of the long-awaited post. From OkCupid’s day of hiding photos, to suggestions of a higher percentage for a potential match, one thing we know for sure, the algorithms do have an impact while looking for love online. Let’s take a look at the three different experiments. 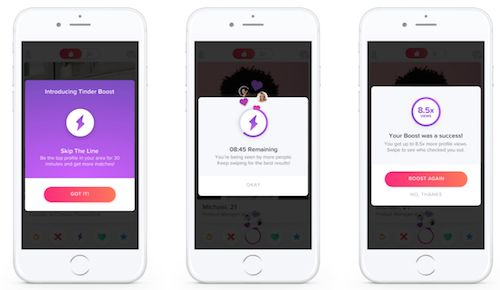 On the 10th anniversary of OkCupid, they launched Crazy Blind Date, a mobile app. The basis of this was that you’d meet someone who’s face had been “mashed up” like a puzzle, so you didn’t know what they looked like. In celebration, OkCupid spent one day mashing up all of their members in an experiment, only to find that 44% of those wrote 1st messages to people, of which they had no idea what they looked like. 2. So What’s a Picture Worth? OkCupid previously let users rate profiles based on looks and personality. Eventually, they changed it to rating based on looks only. What they found is that only 10% of people rated a profile based on it’s text. Does that mean that 90% of people rate profiles based on looks only? Understandably so. This is why all of the mobile dating apps have been so popular and game-like. As a Digital Matchmaker, I spend hours-and-hours every day analyzing profiles to find the perfect match for my clients. They have to go by my word and recommendation to write to or respond to a flurry of potential dates because I strongly advised them to do so. This has resulted in singles dating outside their social circles and meeting men or women that they didn’t think was their type. OkCupid seems to agree. By changing the suggested recommendations from one with a low match percentage to a higher match percentage, their users started to communicate with people that weren’t necessarily a match, based on the algorithms. Were they playing with your digital mind? Just a bit. Time reports that Rudder will be back to business posting on the OkTrends blog every four weeks while waiting for his book Dataclysm: Who We Are to be released in September. Are you rating profiles based on looks alone? Do percentages matter to you? Your comments are welcome. Julie Spira is America’s Top Online Dating Expert and Digital Matchmaker. She was an early adopter of the Internet and creates Irresistible Profiles for singles on the dating scene. Follow @JulieSpira on Twitter for dating advice and sign up for the free Weekly Flirt newsletter. What’s more fun that finding love and going to a fun Hollywood party when you’re single? Our friends at Cupid.com are hosting a screening for singles to the film Coherence in Los Angeles for some of their lucky members the night before it opens and they’ve asked us to spread the word for them! In their Set Love Free promotion, Cyber-Dating Expert readers will get to attend this event for one of the best sci-fi films of the year. 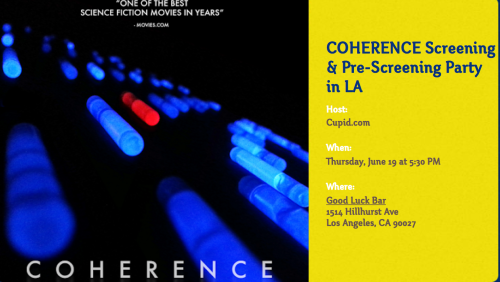 If you sign up now and for tickets to the pre-screening of the Coherence movie, you also get invited to their private pre-party, with some cast members and free food and drinks. On the night of an astrological anomaly, eight friends at a dinner party experience a troubling chain of reality bending events. Part cerebral sci-fi and part relationship drama, this film is a tightly focused, intimately shot film that quickly ratchets up with tension and mystery. Why: Because Cupid.com is launching in Los Angeles! RSVP: https://www.evite.com/event/0355VMUVMIAQ6I7C6EPD3GX2XP5VBI before it fills up! Cyber-Dating Expert is working with Cupid.com as a paid spokesperson for their #SetLoveFree program. He Texts me Daily. Are We in a Relationship? Suddenly, he was sending me a text message saying “Good morning” every day, checked with me during the day, and even to say good night. Because of our busy work schedules, we had a difficult time putting a second date on the calendar. Actually, we tried several times and one of us, usually him, had to cancel due to business or for some other reason, but I did go to his house to watch a movie a few times. I kept suggesting a real date, like one where we’d go to dinner at a restaurant, but it didn’t happen. Before the New Year, I realized it wasn’t going anywhere, but had remorse about it over the holidays. I am finding this is common, I mistook his daily texts as effort when he hadn’t made any real plans. He would want to see me day of and I would already have plans. Nonetheless, I wished him a Merry Christmas via text then he wished me Happy New Year so I thought we weren’t entirely over. Last week, he messaged me again and we flirted and talked about doing dinner on Wednesday. I shared with him that we had amazing chemistry on our first date and I wanted us to get to know each other better over dinner. Sunday night he messages me to come over to his place and stay the night with him and that kind of showed me where I stood. I have been to his place 3 times already! He has never been to my place and why would I stay the night with him prior to reconnecting at dinner?!?! He called me Wednesday and we postponed getting together to Friday night. He mentioned possibly moving for work, which raised my guard even further. Thursday we exchanged some texts and I haven’t heard from him since. Fortunately I can laugh at it all. I’m glad we never slept together. I don’t go from 0 to 360. A part of me is still a little hurt and disappointed that what I had hoped would happen didn’t. But it takes two to tango and two to make an effort and while passion are SUPER important to me, I need to be romanced a little before I go there. How could I really believe we were in a relationship and that he was courting me? Did he texts mean nothing? 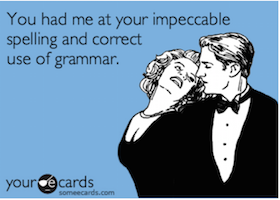 Texting is so easy to do and has become a part of most daters’ regime. However, I view texting as a flirty way of keeping in touch, while you’re courting, dating, or even in an exclusive relationship. Your guy sends you texts to keeping you on the hook, sucked in, with the hope that you’ll think a real relationship is in the cards. He knew your relationship goals, but he was clearly on a different page. Quite simply, he was looking for a relationship of convenience and was hiding behind his mobile phone. How many women was he texting while making you feel like you were special? Probably many. Invitations to come to his home may have been sent to several women, with the first one to bite ending up in bed with him. I once knew a man who like clockwork on Friday sent a text message to 10 women he either had slept with, were ex-girlfriends, or women he wanted to pursue. He was a classic player. He invited them each out to drinks and whoever responded first was the one he ended up spending the night with. Be happy that you didn’t jump at the chance to be in a girl in rotation. It Sounds like he wanted a relationship of convenience, a hookup, or whatever. When a man wants you to be his girlfriend, he?ll do whatever it takes to let you know and to make sure he claims you as his. ?It didn’t mean there wasn’t real chemistry. Let’s not confuse lust with the desire for love. It didn’t mean that he didn’t like and adore you. Men love the game and love the chase.? 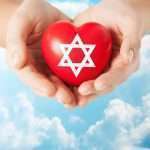 As a woman with a huge heart, it’s easy to get sucked in to the possibility of romance and finding someone special. It’s a new year and time to find someone who’s on the same page. Enjoy the flirty texting, but until two people agree that they’re dating exclusively, they’re not in a relationship. Do you have a question about dating, love and romance? 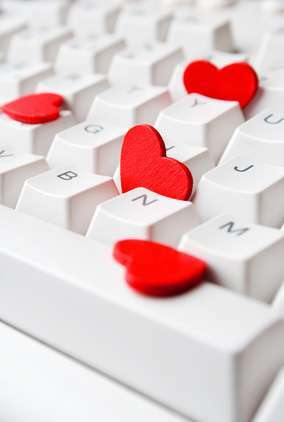 Send your questions to CyberDatingExpert.com/contact and follow @JulieSpira on Twitter for online dating advice. Thinking of Popping the Q? Did you know that 39% of engagement ring purchases occur between Thanksgiving and Valentine’s Day? Before you go out and buy that diamond ring she’s been dreaming of, if you’re one of the many online dating couples who have found love on Match.com, you? just may be in luck. Our friends at Match.com have just announced a contest to help you “Pop the Question” in style worth over $15,000.? 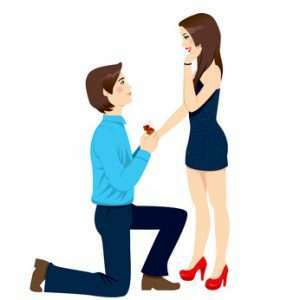 Complete with a diamond engagement ring from Robbins Brothers, a custom-designed proposal plan from The Proposal Planner (TM) and wedding expert Sarah Pease, and a videographer to professionally capture your proposal, you’ll have an engagement to remember. For over five years, Match.com has ranked the highest of our success stories in our Cyber Love Story of the Week feature. It’s been an honor and joy to help many singles find love on their online dating site. If you have any friends who’ve met on Match and are thinking of getting engaged, forward them these details. Note: Entries will be judged by a panel of experts based on each submission’s creativity and the human interest value of the couple’s story. NO PURCHASE NECESSARY. VOID WHERE PROHIBITED. Only open to continental US residents age 18+ as of entry date. Sponsor: Match.com, L.L.C., 8300 Douglas Ave., Suite 800, Dallas, TX 75225. Contest runs from 12:00 A.M. (CST) on November 4, 2013 through 11:59 P.M. (CST) on November 22, 2013. Aggregate retail value of prizes: $15,500. Follow Online Dating Expert @JulieSpira on Twitter for online dating advice and sign up for our Free Weekly Flirt newsletter. After my divorce three years ago, one of my single friends suggested I try online dating. I wasn’t sure if it was for me, but now my ego is invested and I’m going on at least five dates a week. When the dates are over, I log back on to see who else I can meet. While I’m excited to meet so many different people, I never can get to the point of wanting to be with just one guy. I’m not sleeping with anyone, but my friends think I’ve got commitment issues and the thought of taking down my profile makes me anxious. Then when I see a guy I’ve dated has met someone else and moved on, I feel bad. Joining an online dating site after a divorce is a great way to rebuild your self-esteem. Sure the ego is being stroked with so many men writing to you and watching your inbox fill up with male suitors. There?s no magic timetable of how long you should play the digital field, but at some point, being a permanent member of an online dating site can be demoralizing. Decide exactly what you’re looking for and make sure you’re upfront about it both on your profile and during your dates. Let men know that you’re newly single and will be casually dating multiple guys for a while. At some point, you need to decide if you really want to be in a relationship or not. Becoming one who needs to log on for hours a day every day without ever finding a relationship doesn’t mean you’re an online dating addict. It just means you’re enjoying meeting many different types of people online that you wouldn’t have had the chance to meet offline. If it’s truly your goal to find one special person to share your life with, when you find chemistry and mutual interests with someone, you need to give the guy the chance to be your one and only to see what it’s like to be in a relationship. Yes, that means taking down your profile. If it doesn’t work out, then just reactivate your profile and keep searching. When you’re ready to go steady, you’ll know it. Until then, enjoy meeting a variety of people. I always say there are 64 colors in the Crayola crayon box. I feel the same way about online dating. It’s not an addiction unless you feel it’s a problem. Don’t let your friends comments influence how you feel about dating after a divorce. 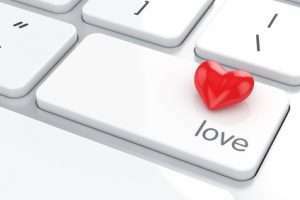 Do you have a question for Cyber-Dating Expert Julie Spira? 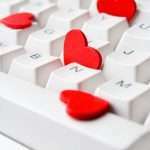 Send your questions here and read other Ask the Cyber-Dating Expert columns for online dating advice. Julie Spira is a top online dating expert and author of The Perils of Cyber-Dating. She was an early adopter of online dating and creates irresistible profiles for singles on the dating scene. For more dating advice, sign up for the free Weekly Flirt.